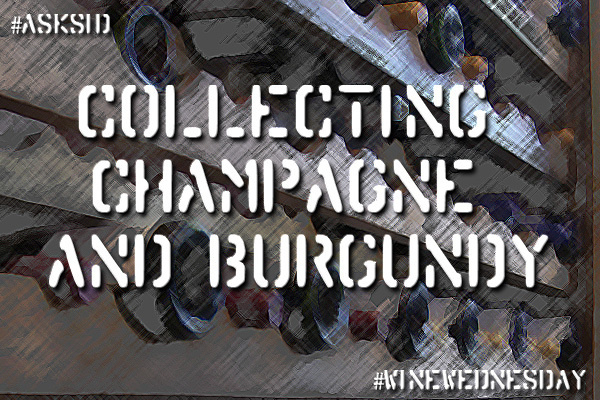 Impressed by the increasing quality of sparkling wines available from around the globe. Champagne still remains the benchmark but lots of delightful different styles out there to try. 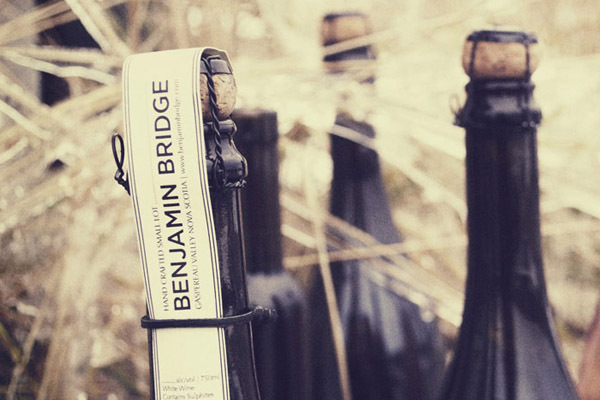 One region the Gaspereau Valley in Nova Scotia Canada and one producer Benjamin Bridge (www.benjaminbridge.com/sparklings) have made amazing strides in the last decade. I have been an enthusiastic supporter of them since my visit there on August 22, 2011 when I was blown away with this project and thought I would now alert you. I appreciated the passion, optimism and individual attention to cuvees shown by Winemaker Jean-Benoit Deslauriers and his team on that occasion. Couldn’t believe that such low Brix (18+), high acidity (14+), and low pH (around 3) aged some time on the lees would actually work so successfully. Tried the recently disgorged samples from the 2004 vintage which were eye openers. Blanc de Blancs 100% Chardonnay (only 200 bottles) with no malo & no dosage showed crisp citrusy verve and “lemon juice at the beginning but you have to wait for it” potential and now really coming into its own. 100% Blanc de Noirs with full malo was more open yeasty brioche from the lees and showing creamy softness warranting their optimism. Even a 2008 blend of 65 Chardonnay & 35 Pinot Noir showed the benefits of very late harvesting producing clean expanding mouth coating fruit. Last week in Vancouver provided an update with the visiting Jean-Benoit showing his new releases including fun aromatic coastal Tidal Bay appellation 2014 whites and floral fresh big seller Nova 7 with the ever changing 11-12 grape varieties. The star among the current sparklers was his 2008 Brut Reserve (61% Chardonnay & 39% Pinot Noir disgorged June 2014) the favourite of now deceased (2013) oenologist consultant Raphael Brisbois (ex Piper-Heidsieck) showing incredible richness combined with freshness. There was structure, full volume and aromatic honey intensity from low yields & phenolic ripeness being the key. Already great but can age and still develop further nuances of complexity. World class bubbles! Check it out. 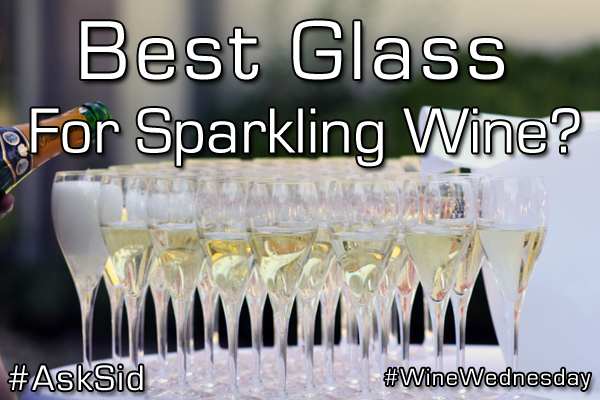 Have you tried any sparkling wines from the Gaspereau Valley? 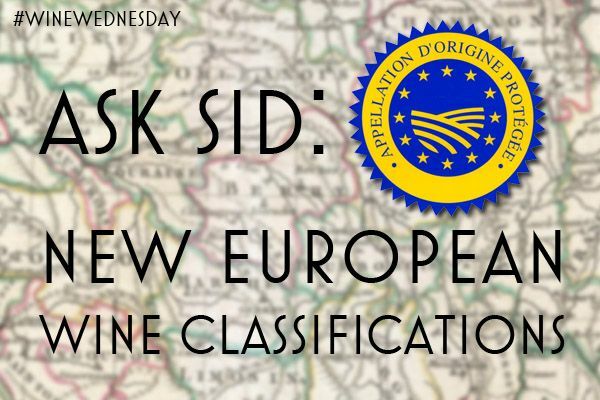 Ask Sid: Arsenic in cheap wine? Question: I just read a news article about cheap California wines containing arsenic levels that are 500% above what’s considered safe. Should I be worried about buying a bottle that’s less than $10? Please let me know what you think? Answer: Yes I was intrigued by this article and video too that can be viewed here referring to the complaint filed against 26 California wineries in LA Superior Court seeking class-action status because of alleged high levels of arsenic in 83 of the 1306 bottles of wine tested. The report indicates that “nearly all the wines sell for between $5-$10 …and if you’re spending $20 on a bottle of wine you’re not going to have concerns most likely.” However despite the odds I still feel there are concerns at any price level about what is actually in that bottle of wine and therefore I support some form of simple ingredient labeling to be adopted by the wine industry itself to help the wine consumer decide. Read a good detailed article on this subject by John Tilson titled “Caution! What’s In Your Wine?”. 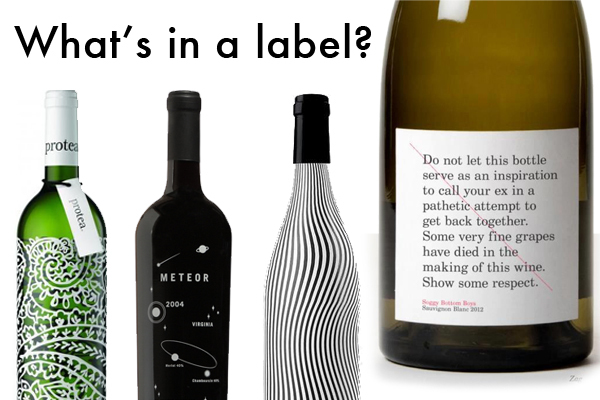 They support the innovations in ingredient labeling by Ridge Vineyards & Bonny Doon Vineyards. Caveat emptor “let the buyer beware” still applies. 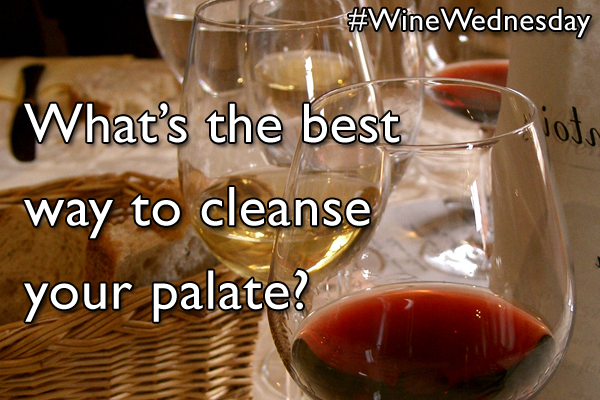 Are you concerned about the level of arsenic in inexpensive wines? 1982 BATAILLEY (Magnum) Highlight of the night in this format well stored with patient 33 years of bottle age has improved it dramatically as has put on weight to a stunning open cedar cigar box distinctive Pauillac terroir – so delicious! Lesson: Be patient with 2005. 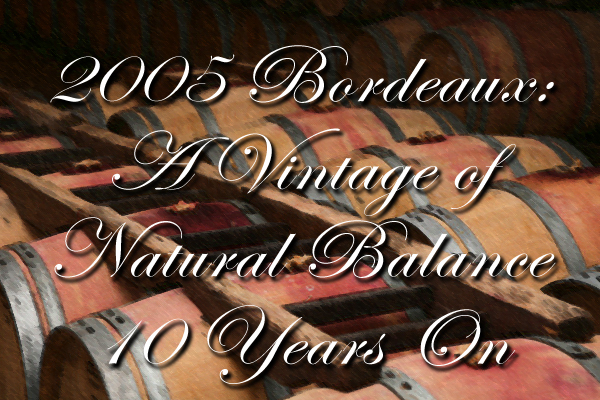 Have you tasted a 2005 Bordeaux? If you’ve started to immerse yourself in the world of wine, it’s almost inevitable that you’ll come across the name Bordeaux. That’s because with nearly 300,000 vineyard acres, it is France’s largest wine growing region—an area bigger than all of Germany’s vineyards combined and ten times the size of New Zealand’s total acreage. And matching quantity with quality, it is home to some of the most famous wineries in the world including Château Petrus, Château Margaux and Château Lafite Rothschild. 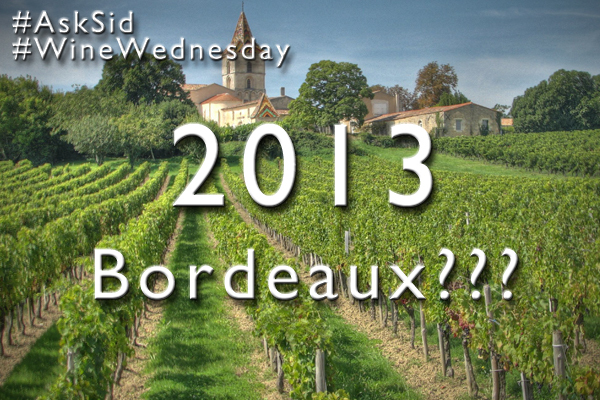 In addition to centuries of winemaking knowledge, another prime reason for Bordeaux’s continued success is geography. With its close proximity to both the Atlantic Ocean and several rivers, these bodies of water combined with acres of surrounding pine forests help to temper the region’s climate. The result is approximately 700 million bottles produced every year from Médoc to Sauternes. But let’s face it. 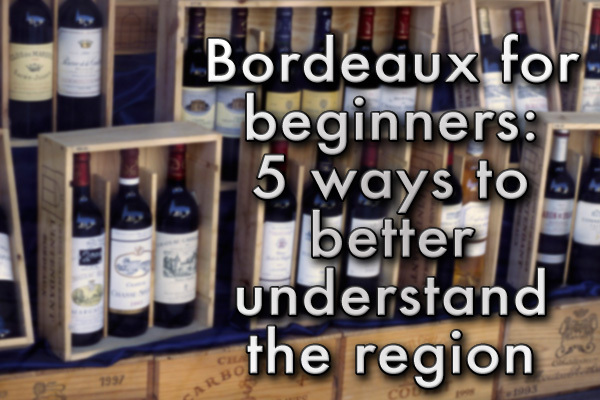 If you’re learning about Bordeaux for the first time, things can get quite confusing. For starters, why aren’t the grapes listed on the bottle like they are for American wines? And what does left bank, right bank and first-growth mean? Have no fear! For this week’s entry, we present 5 ways to simplify the Bordeaux region for those who are just starting their journey into the world of wine appreciation. 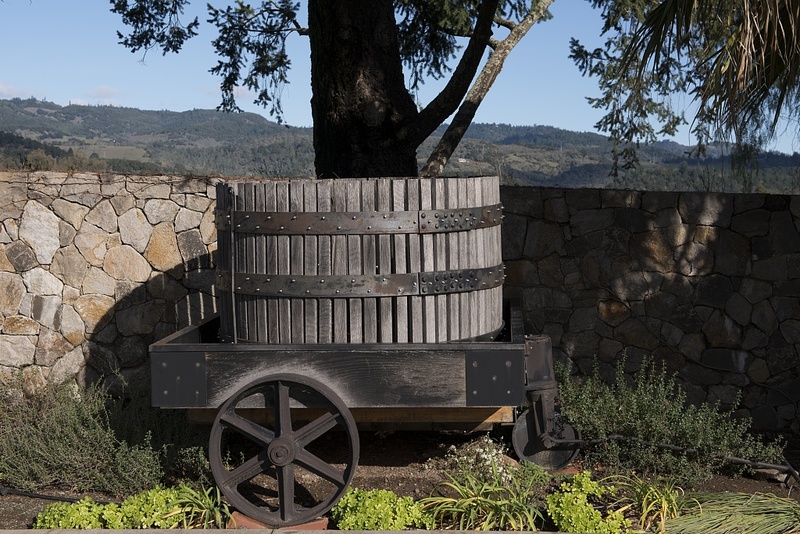 So sit back, relax and learn about one of wine’s most historic and powerful regions. 1. When you say Bordeaux, do you mean red wine? No. But according to the latest information from the Conseil Interprofessionnel du Vin de Bordeaux, nearly 90% of the region’s grapes are red. So it’s not hard to see why many people associate Bordeaux with red wine. However here’s an interesting fact: did you know that until 1970, the region produced more white wine than red on a regular basis? Despite this seismic shift to red over the past four decades, you can still find some of the world’s best white wines in Bordeaux—most notably in the Graves and Sauternes areas—the latter being home to Château d’Yquem which is renown for its sweet dessert wines, usually made from Sémillon and Sauvignon Blanc grapes. 2. On the label, it says Bordeaux but doesn’t show the grapes used to make the wine. 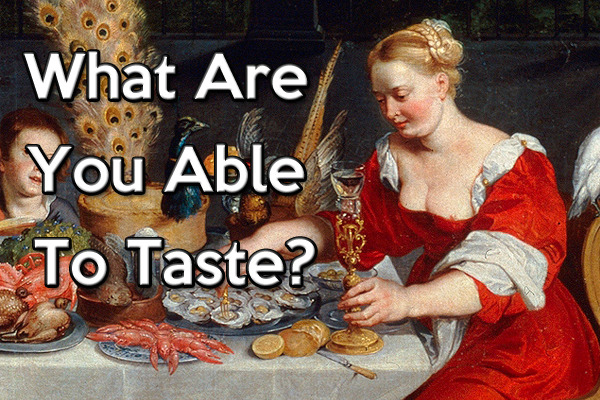 Does that mean that Bordeaux is the grape? Just keep in mind that most Bordeaux wines are a blend of two or more of these grape varieties. and “Right Bank” Bordeaux. What does that mean? 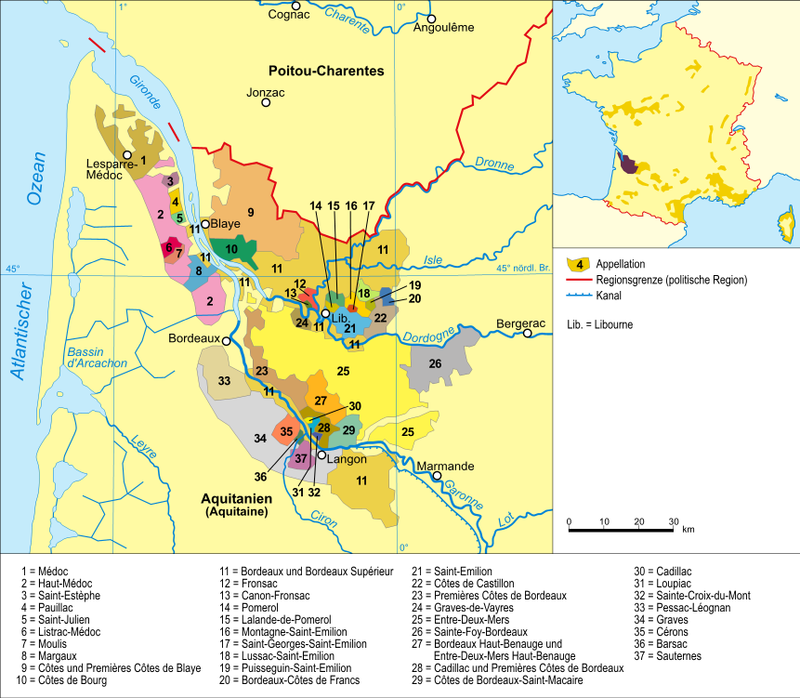 When you look at a map of the Bordeaux, you’ll notice that it is divided by the Gironde estuary, which is formed when the Dordogne and Garonne rivers meet in the heart of this wine region. All appellations left of these waterways are classified as Left Bank and those to the right are known as Right Bank. 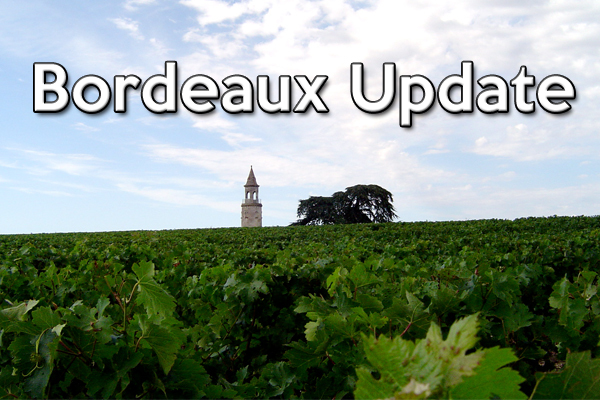 For a map listing all the appellations in Bordeaux, click here. The rule of thumb is that most Left Bank appellations are predominately Cabernet Sauvignon while the Right Bank is centered around Merlot. The exceptions are Sauternes and Barsac, which only grow white grapes. 4. Another term I heard was “first growth.” What exactly does that mean? 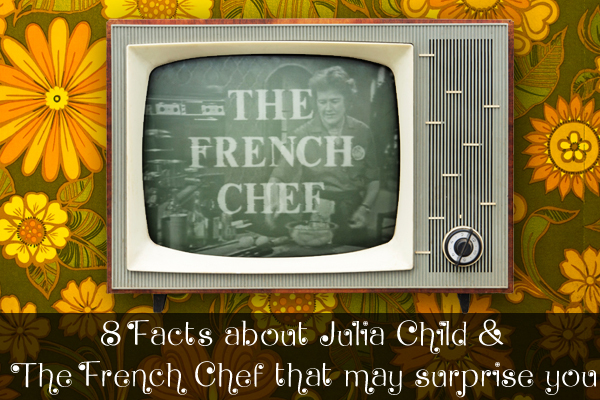 Back in 1855, France hosted the modern-day equivalent of the World’s Fair. And in preparation for Exposition Universelle de Paris, Emperor Napoleon III asked industry experts to select the best Bordeaux wines to represent the nation. The result became known as the Official Classification of 1855 with the wines from the Médoc region dominating the list. 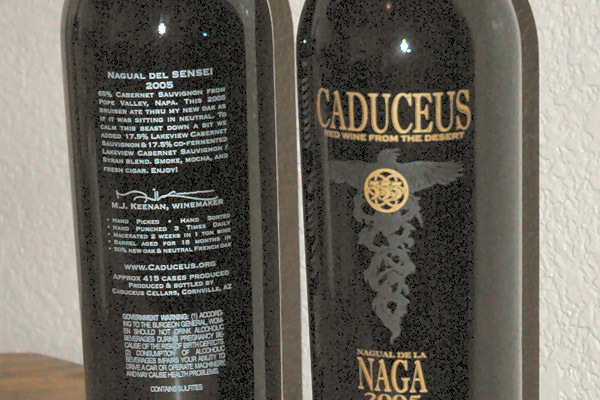 Basing their ranking system on the assumption that price equals quality, five different classifications were created, which became known as “growths” with first growths (or Premiers Crus) being the absolute best. You can view the entire list by clicking here. So if you’re friends are referring to “first growth,” then it must be either Château Lafite Rothschild, Château Latour, Château Margaux, Château Haut-Brion or Château Mouton Rothschild. 5. Bordeaux seems quite expensive to drink. Many articles dealing with Bordeaux are usually illustrated with pictures of opulent Châteaus, leading many to believe that drinking wine from this region is a luxury available only to the very wealthy. And yes, there are many vintages that can run in the three, four and sometimes five figure range such as Château Petrus and many first growths. But this is a complete misconception about the region. In fact, wines priced between $8 and $25 represent approximately 80% of Bordeaux’s total production. Some of these include Mouton-Cadet, Laurentan, Lacour Pavillon and Baron Philippe. “FAQ About Bordeaux.” Wine Spectator Mar. 2015: 124. MacNeil, Karen. The Wine Bible. New York: Workman Publishing Company Inc., 2001.